Its model number and name are #042 / Fantomex. Character Bio - One of the most mysterious characters in the world, Fantomex keeps both his past and his motives shrouded in mystery, even from his closest allies. His misdirection abilities can fool all the senses and even the strongest of psychics, leaving his enemies bewildered and placing Fantomex among the best thieves and assassins in the world. Though he has been part of a few super-teams, he is often out for himself, and it's never known where he will show up next. As a Mutate, Fantomex has these Mutate Synergies. 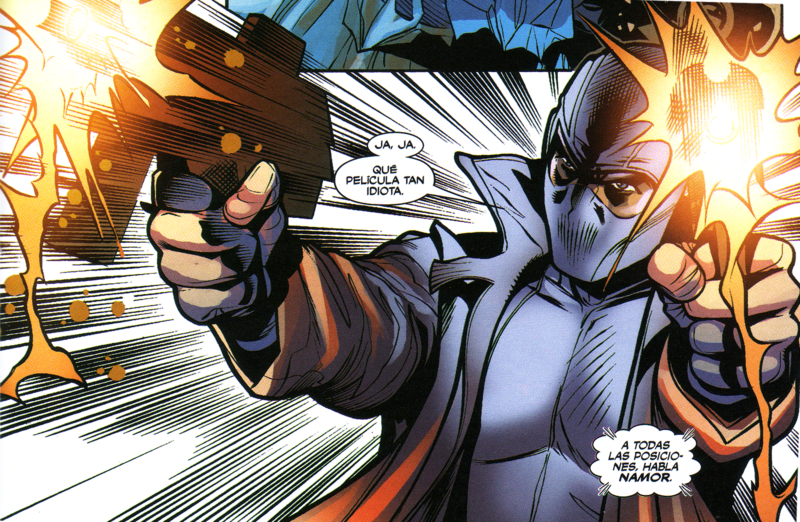 As a figure with the Mental Shield special power, Fantomex cannot be affected by aspects of certain special powers. Current Special Powers that Interact Differently with the Mental Shield special power. Last edited by Ronin; October 30th, 2017 at 11:08 PM. When an opponent's figure within 6 spaces targets Fantomex for an attack, you may roll the 20-sided die. If you roll 14 or higher, Fantomex takes no damage and you may choose an opponent’s figure within 3 clear sight spaces that is not the attacking figure. Switch Fantomex with the chosen figure and the attacking figure must target and attack the chosen figure, even if engaged. Figures switched with Misdirection 14 never take any leaving engagement attacks. Fantomex can move through all figures and is never attacked when leaving an engagement. When Fantomex attacks, he may attack one additional time. 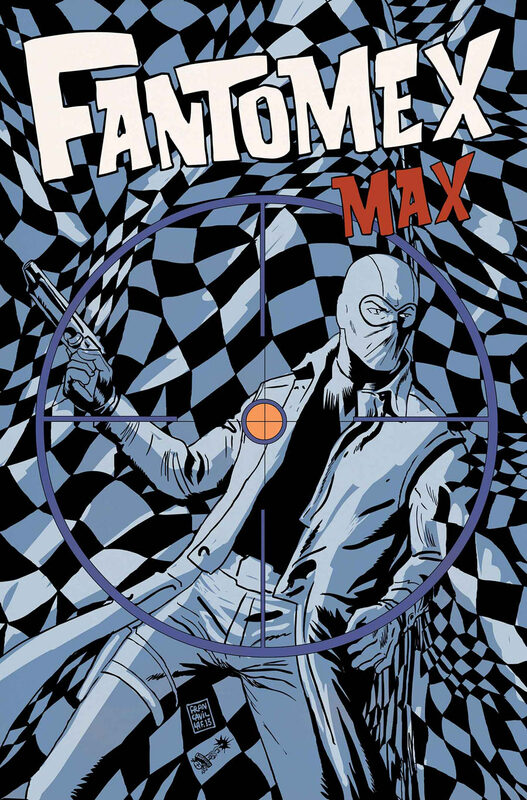 An opponent may never take temporary or permanent control of Fantomex. Last edited by SirGalahad; May 2nd, 2015 at 09:08 PM. Thought I'd get a headstart on the units due by April. This is actually one of the oldest write-ups I have, been wanting to do this one for a while. 4 powers, but 3 are simple re-uses and all are super-thematic. I have Weapon for Class to match Weapon X (Fantomex is part of the Weapon program), but Thief, Soldier, and Mercenary are possible fits, though none of them fit quite right. Last edited by TrollBrute; January 17th, 2015 at 07:06 PM. I like it. No issues. In Misderection, instead of saying "the attacking figure must retarget and attack the chosen figure. ", couldn't we just say "the attacking figure must attack the chosen figure instead." I love, love this design! Powers are perfect, and I think the class of Weapon fits very nicely. I do think the wording for Misdirection could probably be reworked to sound a little better, but that's a minor thing. My only concern right now is his 6 range, 5 attack and Double Attack. Pair him with Enchantress or any other attack boost and he's looking really scary. I think I'd prefer to see his attack lowered to 4, which would match-up with characters like Deadpool. I like all except the 5 attack & defense. Especially with double attack & the Misdirection defensive power. Just seems too high. Yeah, I could see base stats coming down a bit. I agree on dropping the attack (obviously), but I like the defense at 5. Thematically, he should be on about the same level as Deadpool, and 5 defense/4 life plus Redirection seems to put him there. His Range and Attack should be the same as Deadpool, but doesn't this guy heal too? I thought he did. I have to admit that I am only a recent fan of him, not as far back as when he first appeared. I have it restarting the targeting phase to make things clear. There are quite a few powers that say "when X is targeted" or "when X is targeted and attacked". The wording I have is to make it clear that those powrs would still activate. Darn Enchantress! When I first wrote this up, Enchantress hadn't even been designed. 4 Attack definitely makes sense. I'll update to that when the breathing period is up. I do feel that 5 Defense is plenty thematic and not too strong. He should be on Deadpool and Wolverine's level. 4 Life/5 Defense/14+ to dodge is not much stronger than Batman's 4 Life/5 Defense/15+ to dodge. He can heal, but not on the same level as the Healing Factor X guys, at least not from what I've seen. He has to go into a trance to heal. I originally had it, but I felt that the other powers were more thematic and more fun. I think Fantomex had pulled a few dozen different powers out of his hindquarters. Being an intentionally-vague super-badass who can do anything the plot needs him to is kind of his shtick.